Summary: This aircraft is specifically mentioned as being destroyed during the B-40 and satchel charge attack on Kontum Airfield. Status: Killed In Action from an incident on 01/10/68 while performing the duty of Flight Mechanic. Short Summary: Died of injuried received during an enemy B40 and Satchel Charge attack on Kontum Airfield. 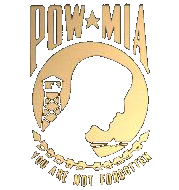 Name: SP4 Thomas Carpenter, Jr.
Name: PFC Richard Daniel Devine, Jr. Status: Killed In Action from an incident on 01/10/68.